How Do You Use Your Lanyards? From holiday DIYs to corporate events, lanyards are perfect for almost any need. But, we want to know more! What do you do with your lanyards? Are there any particular ways you use a lanyard? From security to identification, lanyards are essential for nearly anyone. So, here are our top 10 ways to use lanyards. No matter your business, we’re sure you could use a lanyard! From everyday use like holding keys and pens to holding personal identification, every employee should have a lanyard. Each lanyard has a purpose and lanyards definitely are an essential business tool. Quickly identify visitors, students and all staff members with bright, fun lanyards. From school colors to a mascot logo and a district motto, these identification tools are perfect for every educational facility. And, they work well for fundraisers and other school-based events. Simply choose a color to match your school or cause and add any text you need. 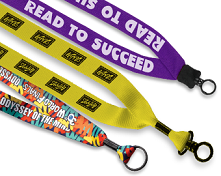 Hand out a lanyard at your event or use them to promote a specific fundraiser. Patients and staff can all benefit from using lanyards. Using a color-specific lanyard, quickly identify a patient’s needs with a badge holder and insert. They don’t have to be flashy, just enough to catch at nurse’s eye and let them know what the patient is going through. In addition, use them to separate nurses from other hospital staff. For example, doctors can wear red, nurses blue and other attendees orange. Yes, lanyards are a common thing among sports fans. And they have become a fashion accessory over the years. They provide quick communication and identification of a home team or a favorite national team at a local sports club. Or, use a lanyard to hold a medal or other award for your next contest. It doesn’t have to be anything fancy, but make sure it is something that the recipient is sure to love. Most businesses need to be safe on the job, and a lanyard is just the tool to solve this need. From quick identification to holding important things, every lanyard serves a purpose. 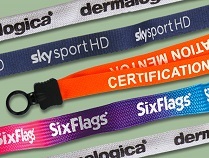 It doesn’t matter your industry as we are sure to have a lanyard to fit any project, company and worker. No matter the role, attendees, promoters and exhibitors can all use this practical tool. From branding for companies to locating security, lanyards are the perfect answer for all event needs. For instance, use them for personal identification and giveaways. They are great for keeping conference schedules readily available for quick use. They can also help to identify speakers and others at your next trade show. 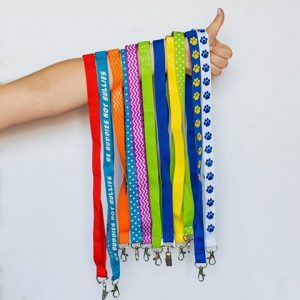 From remembering where you go on your next holiday to identifying tour groups, lanyards are a fundamental element to any vacation. 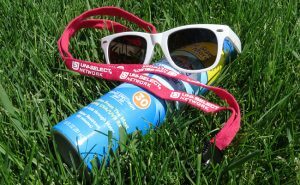 Wrap a lanyard around your sunglasses or other valuables so you won’t lose them. In addition, have them printed with information about your vacation and who you went with. Above all, we’re still interested in hearing from YOU! So, how do you use your lanyards?